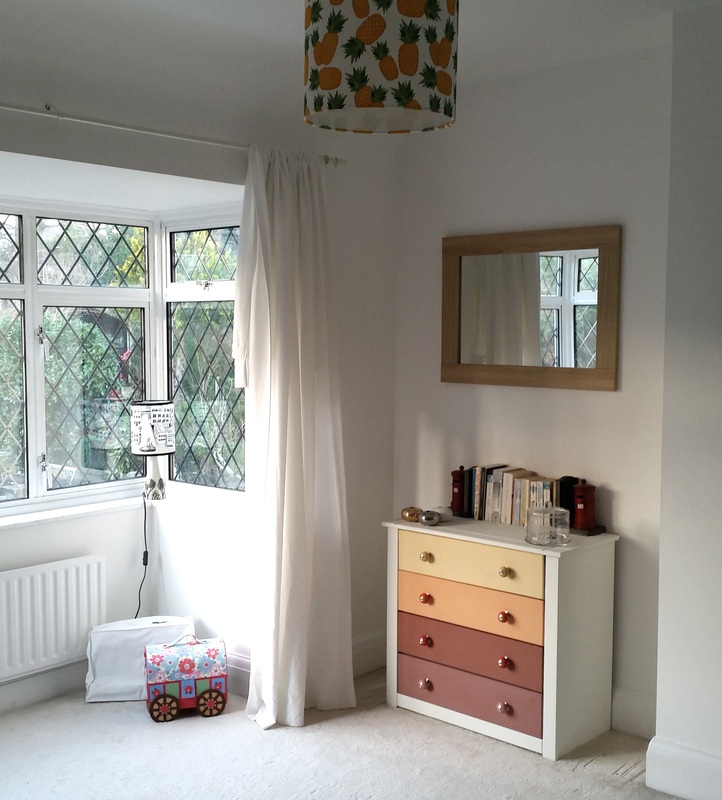 Last year we completed a mini-makeover of our back spare bedroom turning it from dirty pink princess palace of the previous owners to a clean, serene spare room. It’s a beautiful room with a bay window overlooking the back garden and flooded with light most of the day. Currently it’s used as a stockroom for my business but we also have the comfiest sofa bed in there for when people come to stay (because we still haven’t even thought about starting work on our main guest room yet!) and it’s my favourite room to relax in so I don’t get distracted by downstairs life and can ignore all the renovating that we need to do to our loft bedroom. 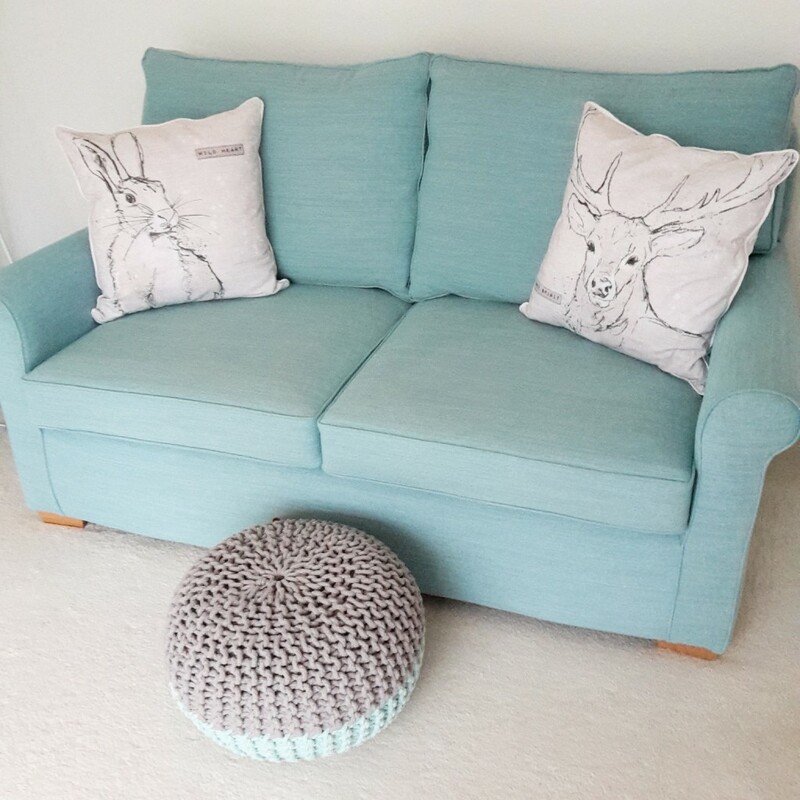 Over time we’ve gradually filled it with unique pieces like the drawers above which I upcycled for a Wayfair project and some lovely bits I’ve won in competitions but were really missing pretty cushions for the sofa bed. Fortunately wallpaper designers Graham and Brown were on hand with their new SS16 cushion range and very kindly offered me two cushions from their new collection to finish the room off. 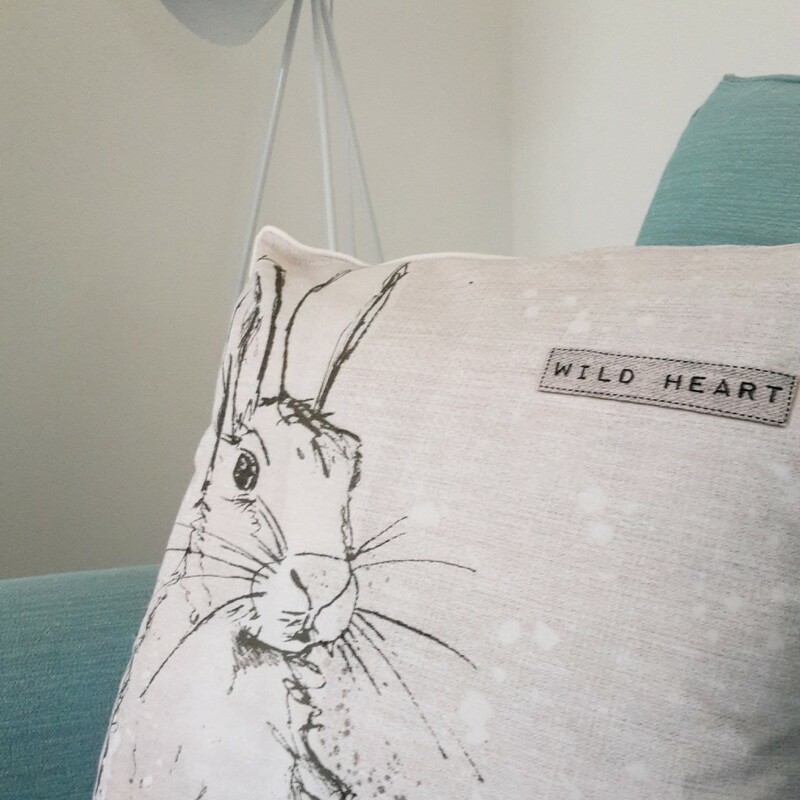 I picked the ‘Free Spirit’ Stag cushion and co-ordinating ‘Wild Heart’ hare cushion which I knew would work brilliantly either in the spare room, on our sofas in the living room which are dark grey or on the bed. 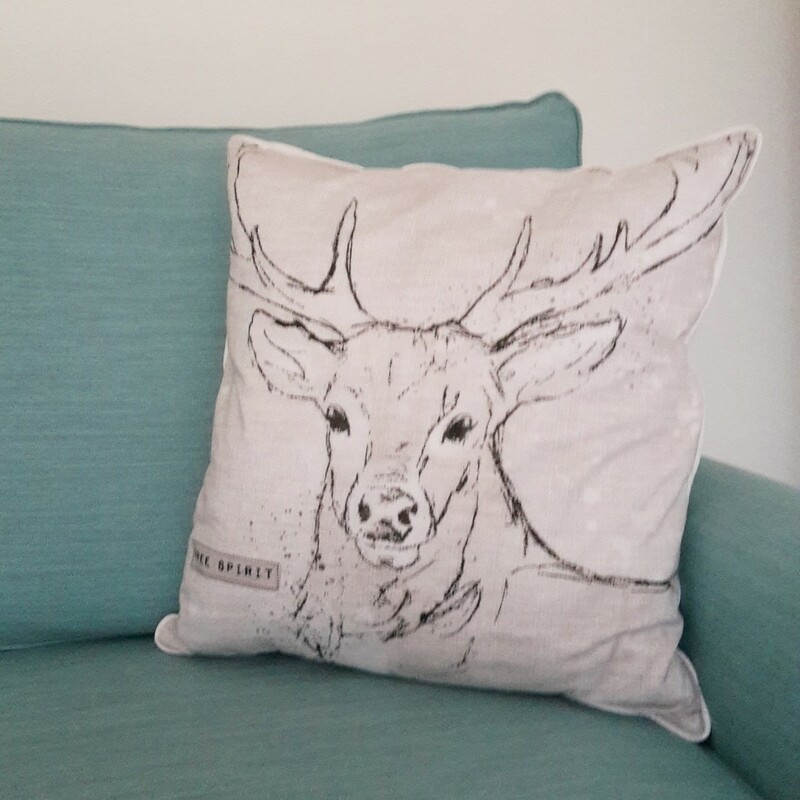 Priced at £25 each and measuring 50cm x 50cm, they are perfect for snuggling into, kicking off shoes and curling up with a good book. Of course it’s no surprise that I picked an animal theme but the typographic badge quotes appealed to me too – subtle enough not to be overbearing but still making an impact. The fabric is 100% cotton so although they appear as texturised linen, instead they feel silky smooth and stuffed full of feathers for ultimate plumpness. They are so squeezable! 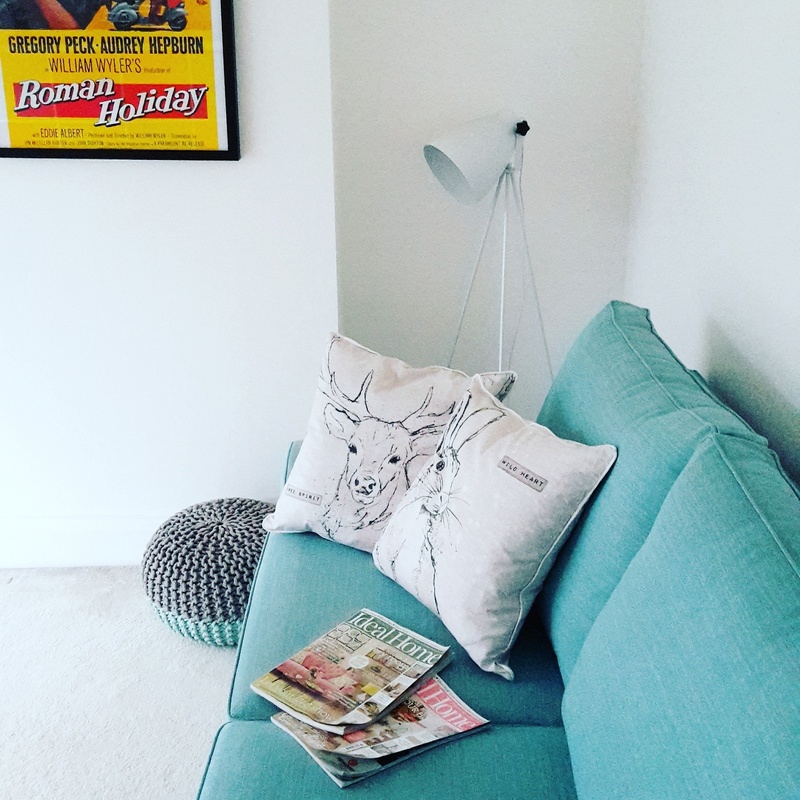 The cushions really finish off our spare room mini makeover and make it somewhere I love spending time even more. A perfect finishing touch for relaxing at home. 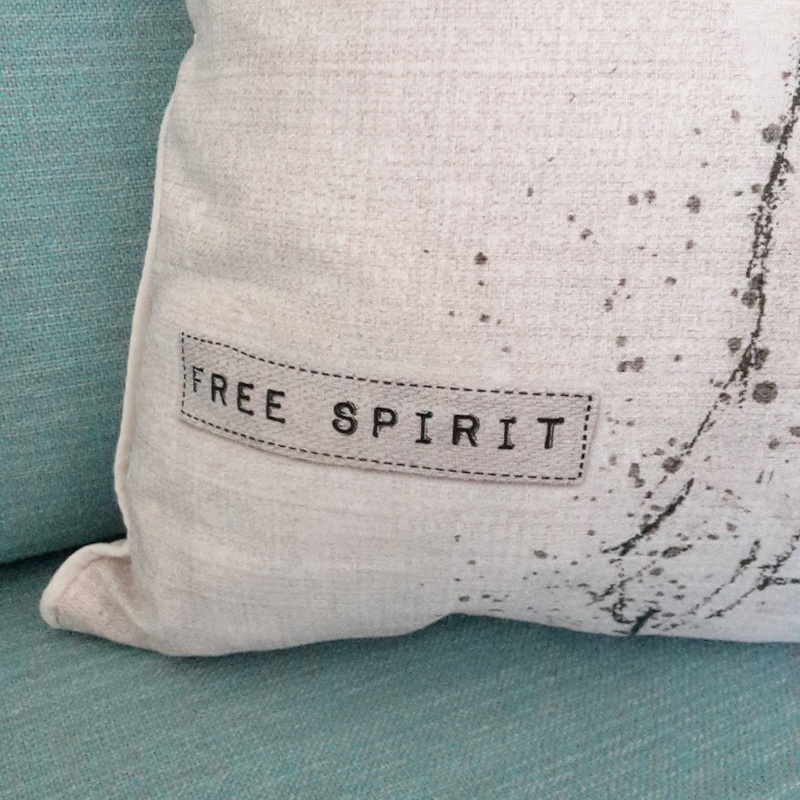 Thank you so much to Graham and Brown for sending me two cushions for the purposes of a review. 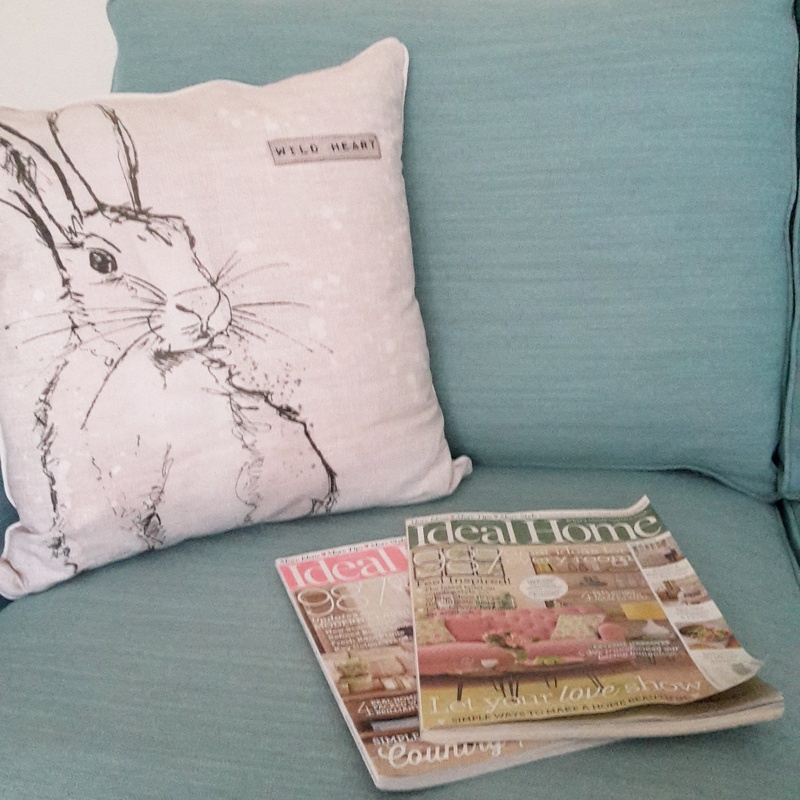 They have a fabulous range of interiors so please do take a look at their website. All images, words and opinions are my own. Gorgeous cushions, Lins!! And I’m still in love with your sofa. That colour is beautiful.